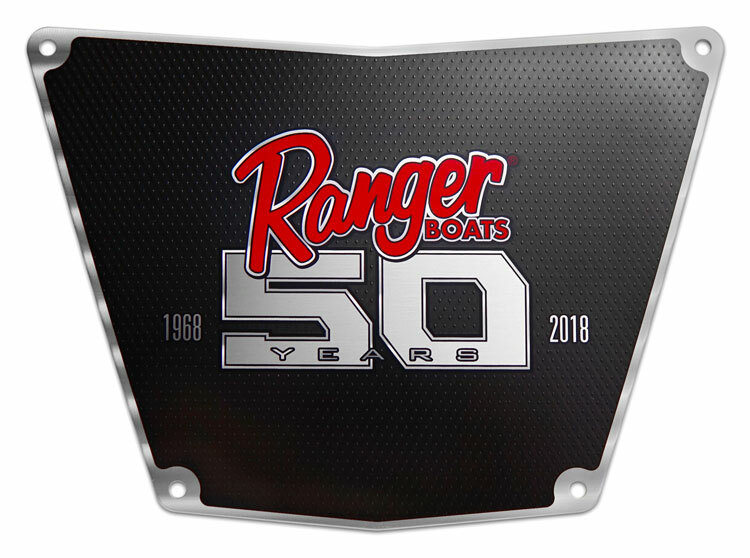 Ranger Boats incorporated their 50th anniversary logo into the decorative trim for their premium boats. They wanted to dress things up more with a background pattern finish to complement other decorative components of the boat and maintain familiar shapes and cutouts seen in other model year trim. They carefully searched though our pattern library to identify a finish structure. Further discussion and review with our Design team resulted in preparation of concept drawings to narrow in on the correct scale and laydown of the finish onto the metal surface. 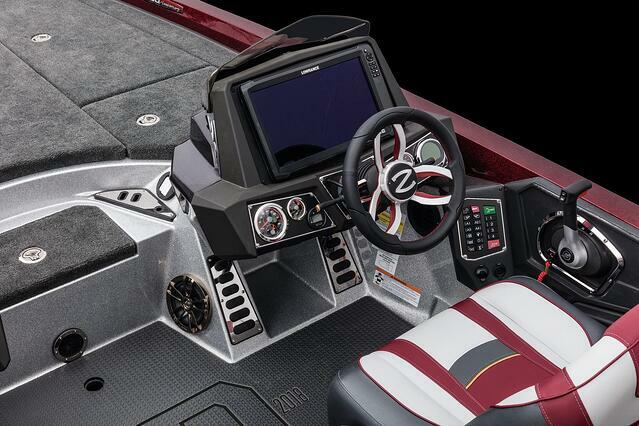 Color and finish development for the black on black pattern results in a look that is unique to Ranger Boats. It is carried over several pieces of trim which enhance the control panels and navigation system. 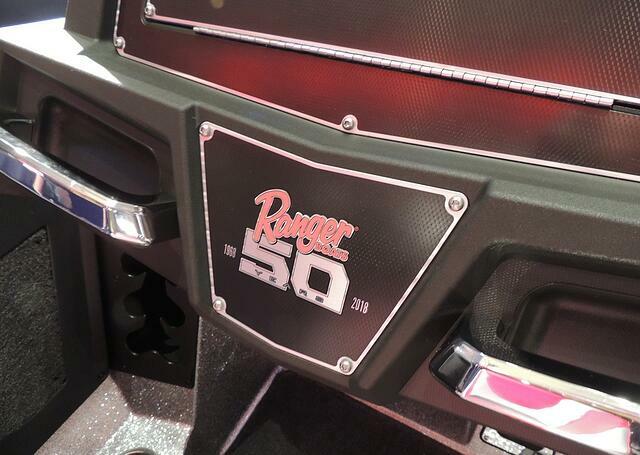 The screened texture over matte black is framed by engine striped aluminum border as an elegant enhancement. Are you looking for a way to enhance your brand identity? Let's talk!